Need to replace a broken window or coffee table in your home? Our wide selection of residential glass products and services ranges from interior to exterior glass, including window and screen repairs, glass railings, mirrors and much more. Have a particular project in mind? 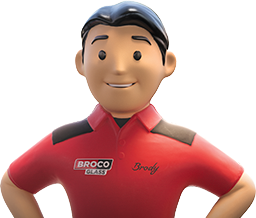 Broco Glass® has the perfect custom glass solution for your needs. Contact us today for a free consultation or if you have any questions regarding our commercial glass services.